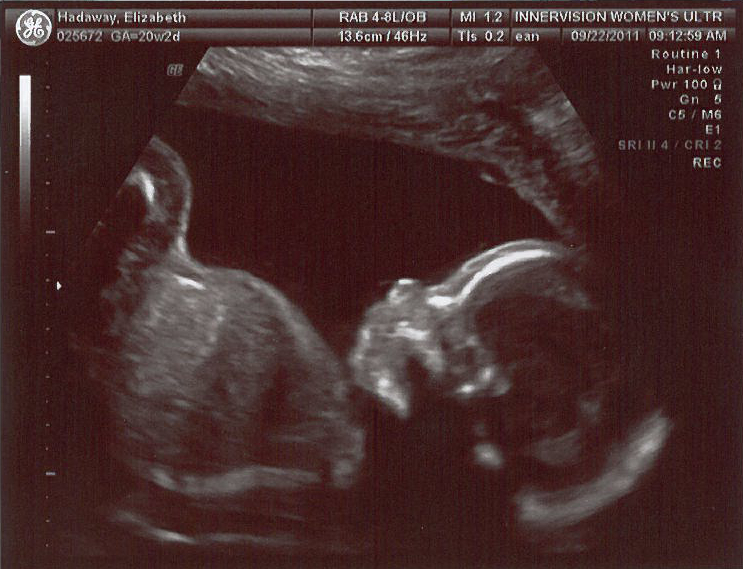 so update #1 – its a BOY! if we’re friends on facebook or you follow me on twitter, you already knew that, but i don’t think i’ve updated here in a while. so far so good still; we’re trucking along at almost 26 weeks. he is now blinking and responding to external stimuli, and weighs over 2lbs – holy cow. he’s already crazy active, and lucky me he’s really active ALL night long. any time i move to get comfortable it takes me a while to fall back asleep because he’s busy kicking the bed. we’re getting to the point where we need to start thinking about baby showers – ugh. talk about overwhelming. hopefully we can fully tackle the remaining registry items next weekend and finally finish clearing stuff out of the nursery so we can put together the crib and starting getting it set up a bit. so much to do; not so much time to do it in. Previous Post wait – halfway? Next Post just a family of musicians….